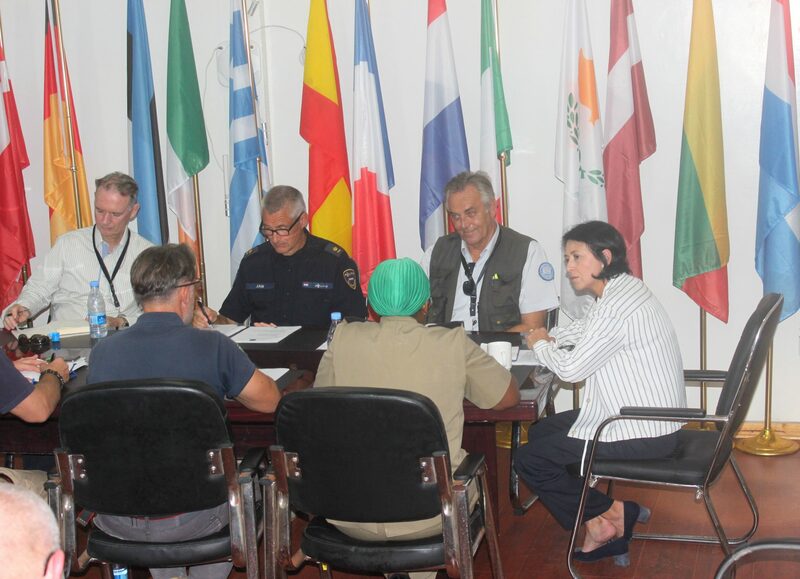 Exploring possibilities for future cooperation was among the topics of discussion during a meeting between EUCAP Somalia Head of Mission Maria-Cristina Stepanescu and the Police Commissioners from AMISOM, Christine Alalo, and UNSOM, Lucien Vermeir, hosted by the EU Capacity building Mission in its Mogadishu premises on 25 November 2018. 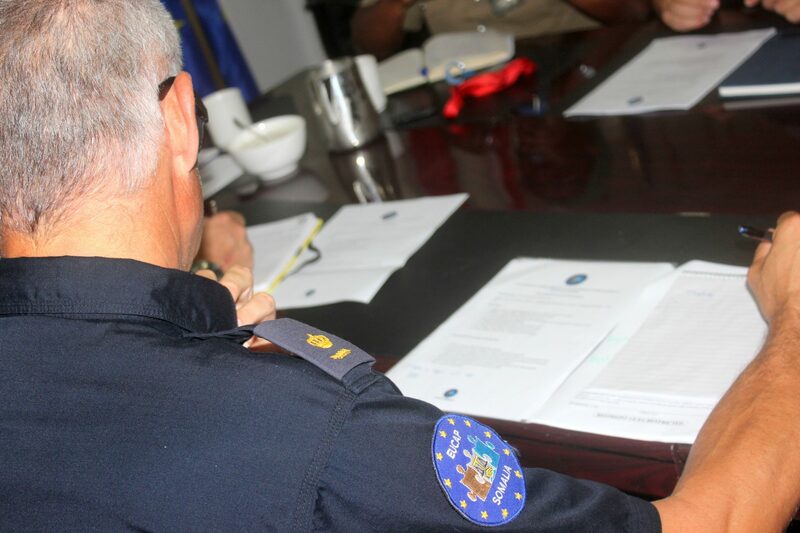 Ms Stepanescu took the opportunity to introduce newly European police advisers who recently joined the Mission to the invited counterparts, in view of opportunities for strengthening international cooperation on policing for the benefit of the Somali counterparts, with particular attention to the Maritime Police Unit. Senior Police Advisors from the EU Delegation and EUCAP Somalia, as well as EUCAP Somalia’s Head of Operations also joined the meeting.